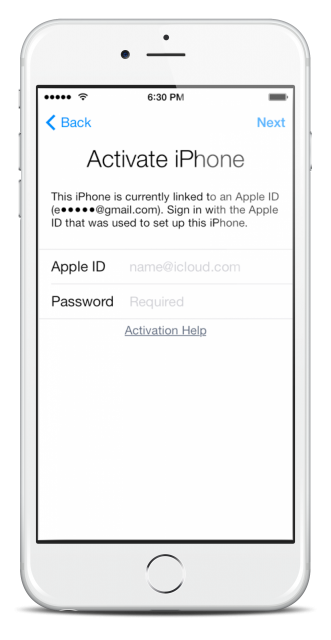 One of the most asked-questions by Apple fans is, “ How do I bypass the iCloud lock ? ” On many occasions, people purchase a second-hand iOS device only to find that it is locked and they can’t use the device. Or people purchase their device from another country because it is cheaper – the same thing happens; they can’t get past the lock because it doesn’t work in their own country. Until now, that is. There is a way to bypass the iCloud lock, two ways in fact – one permanent and one temporary – and we’re going to show you both methods. There are two ways , a temporary and a permanent solution. The first one is a temporary one that will work on any iOS 7 or higher iPhone or iPad. Using this will give you access to many features including Audio, Video, Internet, Games, Maps, YouTube, and more but you won’t be able to use features like Phone Calls, Call Log and more. Once you have completed these steps correctly, a text message will be sent to your phone telling you that you have connected successfully to the server. Now you can use most of the services on your device but remember, this is only a temporary solution. If you want a permanent bypass, move on to the next solution. Now we come to the tricky bit – Continuously Slide to Unlock your device and tap on the option for language. Keep doing this until you get back to your device home screen. That’s it, you are done. You can use most features on your device but, if you want access to Phone, FaceTime, and Newsstand, the entire process will need to be repeated. Let us know how you get on and follow us on Facebook for more tips and tutorials.